I was wandering idly around Blogland with a cup of tea yesterday morning, girding my loins for the next bout of DIY. I very much enjoy doing this when I get the time, particularly looking at those with a money saving or frugal slant. There are a couple of well known bloggers who have good incomes now. You might think they no longer need to live such a careful and frugal lifestyle and would loosen the purse strings. However, they continue to live frugally because they still have specific goals they want to achieve. I have a feeling they would still do it as a lifestyle choice, even when they have achieved their financial targets. We live a frugal life because we have to. If we didn’t we wouldn’t make our mortgage payments each month and could easily rack up huge credit card debts. When it is all going well and we manage a bit of extra income, or don’t get a large unexpected bill because the car engine explodes or we need an emergency plumber, we quite enjoy the challenge. It feels like a pretty productive and useful hobby! However, I don’t enjoy sailing so close to the wind most of the time. I know it wouldn’t take much for me feel I am drowning rather than staying afloat. It did make me consider what I would do if I got to the point where I had paid the mortgage, got a different job that paid lots more, came into some money…would I still be as frugal? Would I loosen the purse strings or shop in Aldi if I could suddenly afford Waitrose? If I could choose, would I still buy all my clothes at bootsales? 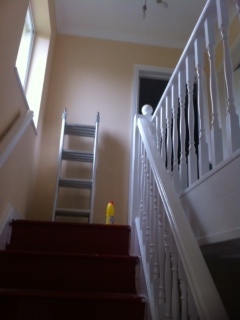 Would I spend a week decorating my hallway or get the decorators in? I think the answer is that we would do a bit of both. I am naturally frugal and I can’t bear waste of any kind, because that was the way I was raised. However, I would love more quality time with Mr Shoestring and my daughters, so if I could afford the decorators I would happily pay for their skills! We would have more holidays as we both love travelling, I would buy a camper van (which has been my dream forever) and have lots of trips around the UK and Europe. Boot sales would still be my thing, but I would buy some decent quality new clothes as and when I needed them. I would continue to do my food shop with a list and might just pop into Waitrose after I had been to Aldi :). What about you? If the mortgage and debts were paid off and you had a decent amount coming in, what would you do? Just to prove I have managed to do something this week, even if we aren’t quite finished and will have to come back to it next week, here is how the hallway is currently looking. Lovely work on the hallway! In answer to your question I would send the kids to private seconadary school & get the landscapers in to make our yard low maintenence, then get our home spruced up with some energy saving things, like double glazing. We may in even put in a car port & entertaining area.. but that is all pipe dreams for now. I think I would follow the same path, staying mainly frugal in order to reduce waste, but maybe have a few more treats than I’m able to now. The hallway is looking fab! 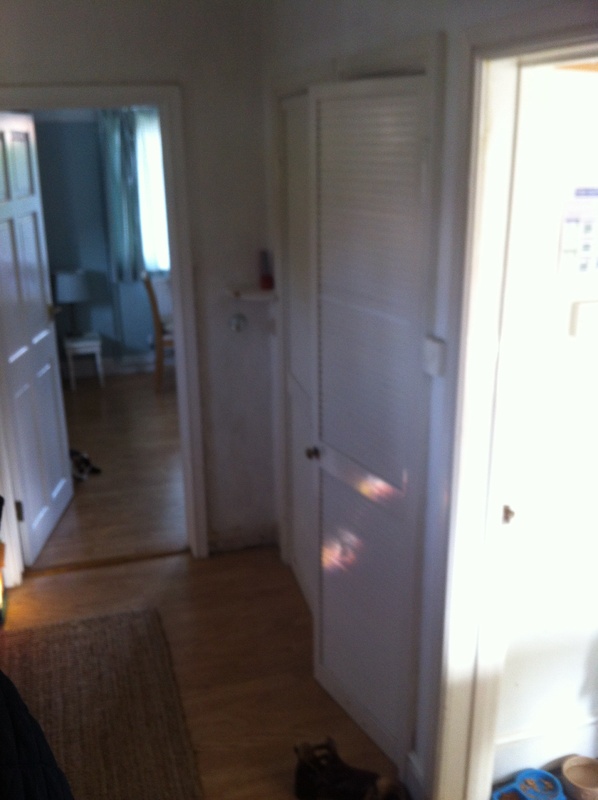 I’d probably get the decorators in too, and maybe new living room furniture as we inherited the stuff the previous owner left because she had no room for it anymore – basically a fully furnished 5 bed house! Would also travel in the UK, assuming the kids were self sufficient at this point. 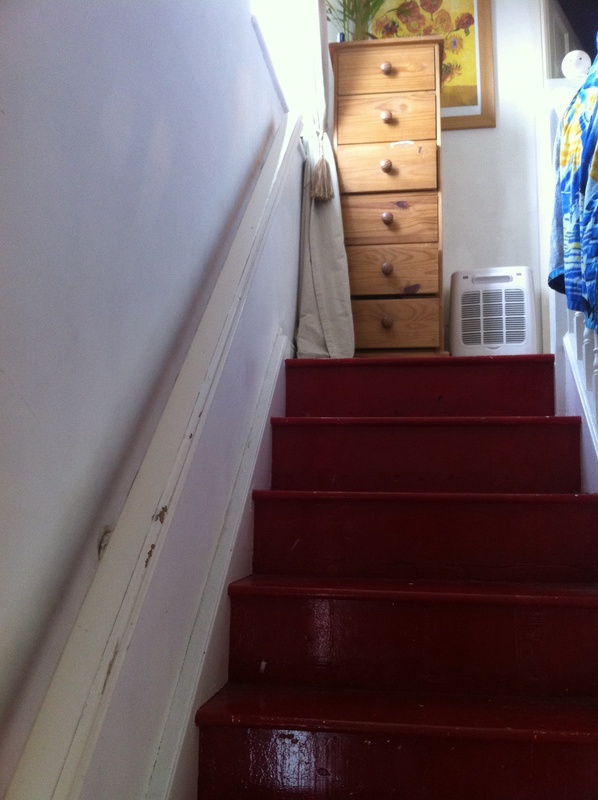 Your hallway looks great! I think if I wasn’t worried about money… if we had more financial breathing room… I’d hire help to scrub the house top to bottom and get professionally organized. Clutter piles up so fast in a small home. Fresh paint wouldn’t hurt, either. I’d get out more. Enjoy a cup of coffee at a coffee shop. Take a yoga class. Not feel guilty to buy prepackaged organic spring mix salad greens (my favorite) or better cuts of meat. Hubby and I would go out to eat more often. Travel a little. Even just weekend trips. Simple things, really. She will be round in half an hour!! All your hard work looks great! I think I’d continue in the same way of life but with more ‘treats’ and days off for ourselves. I love AuntLeesie’s comment, that’s a good way to go. When we were both working and had a decent income and no time we once paid someone to decorate two rooms, it cost us £500 and every time I looked at them I was so annoyed that I had paid to have them done, it took all the pleasure out of it, and I would never do it again even if we had the money now. I think watching your pennies is a mind set. Having a bit more definitely makes it easier but I know many people that have little money but don’t mind blowing their last pound. We moved to the US from Essex 7 yrs ago. Since being here my husband has done very well through a lot of hard work and long hours. Our life is much easier and we have a huge house here but we still keep the heating set lower than anyone else I know, I hang the laundry on a clothes line. I am sure the idea of a clothes line shocks my neighbors. I don’t know one other person that has one here. I go to the most ‘economical’ supermarket here but in the past year I have started going about once a month to whole foods for some nice treats. I do taste a difference in the organic fruit I buy there. But still would not go every week. 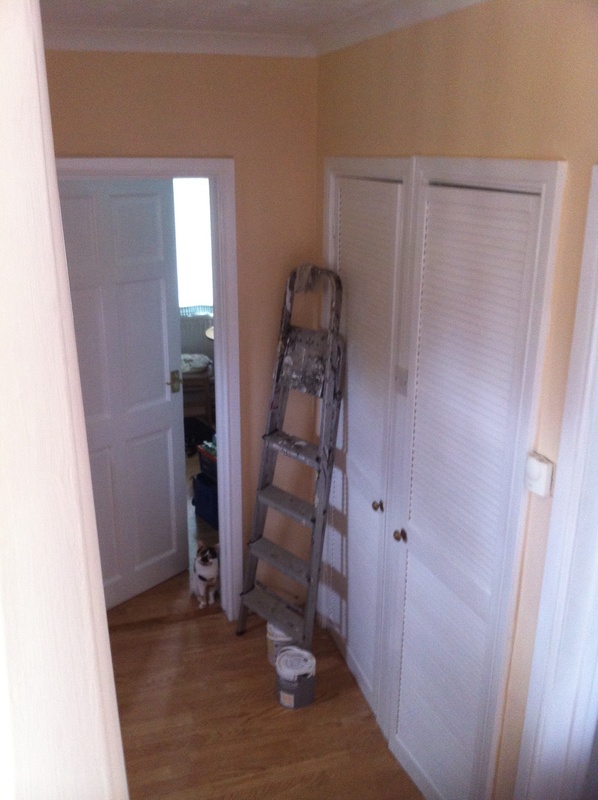 We do pay someone to do our painting and decorating. It would be a disaster otherwise and end up costing more in the long run. I hired a decorator for 50.00 to go through my home and give me advice. I hit gold. I did everything myself after that. There was something a bit off in the living room. She moved the 2 chairs and that’s what was off. I wouldn’t have seen that for anything. Keep dreaming. Dreams turn to goals obtained.